Nothing brings people together like food. 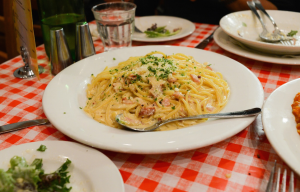 So what better way is there to strengthen your newly found friendships during your freshman welcome week then going out for a family-style Italian dinner? 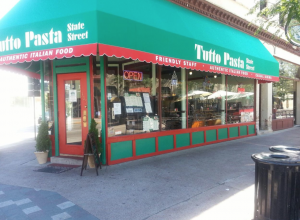 Located right in the middle of State Street, Tutto Pasta is a great affordable option for a squad dinner. Their menu features a wide array of delicious appetizers, entrees, and desserts. On top of that, the portions are huge which makes sharing easy and ensures you can try a little bit of everything. I highly recommend the fried calamari. Cento is the pinnacle of farm-to-table Italian food. 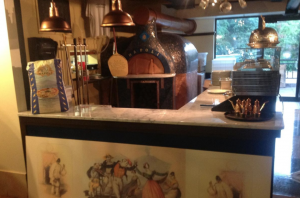 Although it can be a little bit pricy, their fresh handmade pasta and wood-fired pizzas are surely worth every penny. The restaurant is located right next to the Wisconsin State Capitol building which makes for a beautiful site when you dine at night. If you decide to go here the chicken parmesan is a must order–it’s the best in Madison. Like the name suggests, Naples 15 provides the most authentic Italian experience in Madison. Naples native and head chef Salvatore Di Scala will always come and greet your table to ensure that you’re enjoying your meal. Why travel with your friends to Italy by plane when you can get the same experience by walking to downtown Madison?